We love all the books you gave us. Everyone enjoys the books in our class. Thank you for all the books! We always need high interest, new or gently used, recent books for children of all ages, from infants through teens. 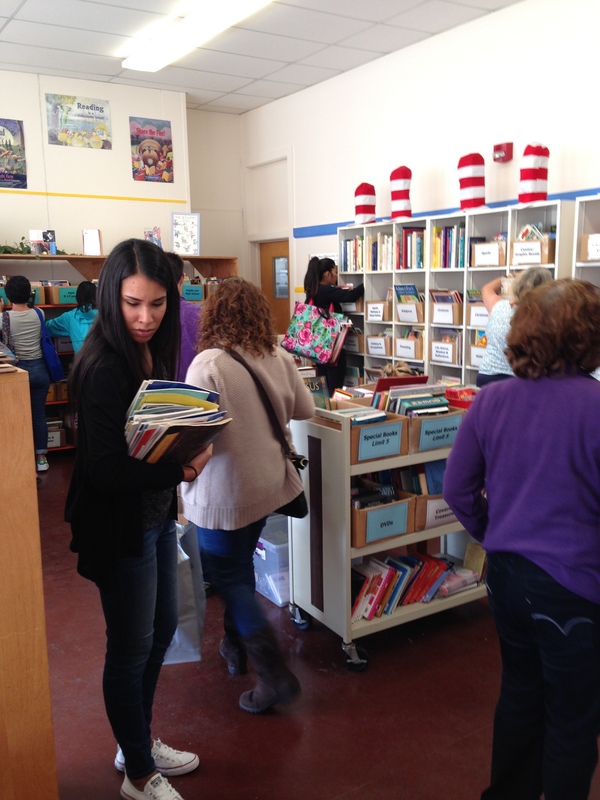 Teachers and other staff who serve economically disadvantaged children come in and choose the free books they want to bring back from our book site. Keeping this in mind as you gather books for donation, please understand that if a book is too old, well-loved, broken, dirty, with missing or marked-up pages, or otherwise unlikely to be selected from our site, it must still be counted and sorted by our hard-working volunteers. Please help us use our limited resources efficiently and recycle those books we can’t use at home. Thank you for your understanding! Visit our Amazon Wishlist for book donation ideas (and join AmazonSmile to donate books directly AND give .5% of your purchase to CBP)! The entrance to the parking area is at Playland at 43rd Avenue. Please drive slowly and watch for children at play! Children under 18 are not allowed at the book site. Contact us to arrange pick up for donations of 100+ books within San Francisco or for larger donations in the greater Bay Area.